Route#33E to Clay Bottom School Rd. to Cotton Patch Rd. to Crisp Landing Rd. It is proper for a Veteran of the US to salute his flag after putting it up. 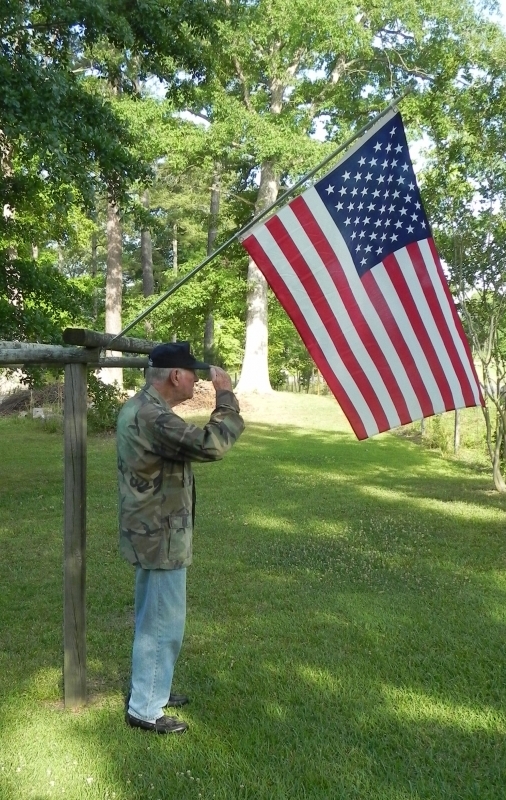 US Veteran saluting the American flag that he just installed in his yard.